Looking To Drive Sales & Generate Brand Awareness For Your Dealership? Get Set Up With Our Masters Bundle Today! What is the Masters Bundle, precisely? The idea is to bundle your hole in one coverage with an additional contest to get your name in front of even more people! By sending a dealer representative to the tournament, your representative can talk to the golfers, build relationships, and even invite them back to the dealership to take a test drive. 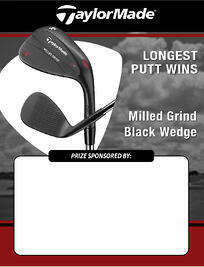 You will also be able to leave a lasting impression with the golfers because you will have a guaranteed winner! What contests can you choose from? What's included in the Masters Bundle? What's the best part about the Master Bundle? It's a complete turnkey promotion that is ONLY $180 to add to your hole in one coverage. This promotion will be available for the entire month of April, so waste no time scheduling your event! Have questions? Give us a call at 800-822-2257 or fill out the form here and one of our Golf Enthusiasts will call you within 2 business days.